The Global Coral Reef Alliance, founded in 1990, is a small, 501(c)(3) non-profit organization dedicated to growing, protecting and managing the most threatened of all marine ecosystems—coral reefs. 3) developing cutting edge therapeutic methods that are our last chance to save coral reefs for future generations. GCRA did much of the original work on coral disease and harmful algae blooms, pioneered integrated whole ecosystem and coastal zone nutrient management that later became called “Ridge to Reef”, “Hilltop to Ocean”, “Mountain to Sea”, etc., invented and developed the Coral Bleaching HotSpot method to accurately predict coral bleaching caused by global warming, invented and developed Biorock™ technology for restoring coral reefs and all marine ecosystems, and directly trains local environmental management groups worldwide to assess and solve their critical marine ecosystem problems and regenerate dying habitats. 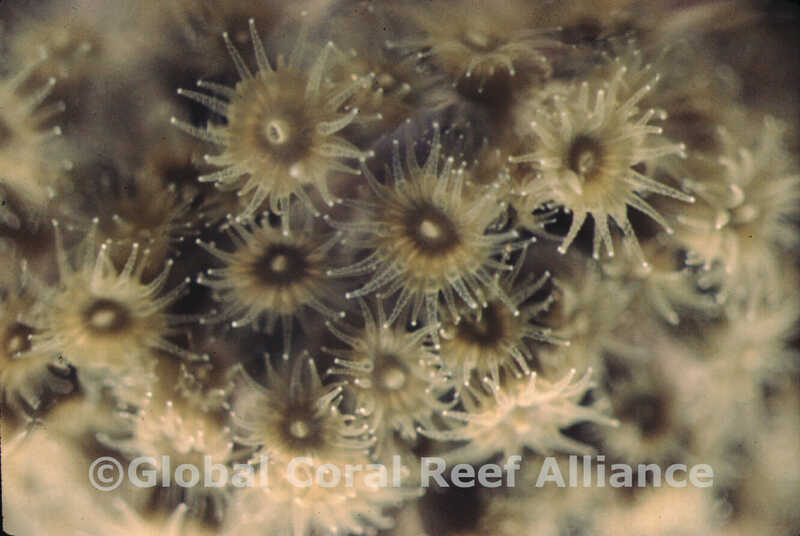 GCRA is the leader in preparing for coral reef futures by inventing and developing cutting edge Biorock™ technology, the only method that greatly increases settlement, growth, survival, and resistance to stress of all marine organisms. The Biorock™ Process, owned by Biorock, Inc. and licensed to GCRA, allows marine ecosystems to kept alive under conditions that would normally kill them, like excessively high temperature and pollution, and to naturally regenerate entire marine ecosystems, and severely eroded beaches, at record rates in places where there has been no natural recovery. This method is the only hope to preserve and regenerate coral reef ecosystem services until global temperatures and pollution are reduced to safe levels. It creates new paradigms for sustainable whole-ecosystem aquaculture without food inputs, and for growing back eroding coastlines. Coral reefs built with the Biorock™ process are now growing in Maldives, Seychelles, Thailand, Indonesia, Papua New Guinea, Mexico, Panama and, in one of the most remote and unexplored reef areas of the world, Saya de Malha Banks in the Indian Ocean. GCRA is the only direct heir to a continuous tradition of pioneering coral research going back nearly a century to the Cambridge University Great Barrier Reef Expedition in the 1920s, the Bikini Atoll Scientific Resurvey of the 1940s, the first high quality underwater color photographs, and the first and longest studies of coral reef ecology and biology using SCUBA. GCRA has the world’s largest and oldest collection of coral reef photographs documenting the conditions of coral reefs in the 1940s, 1950s, and 1960s, and the original diving studies on coral reef ecology. 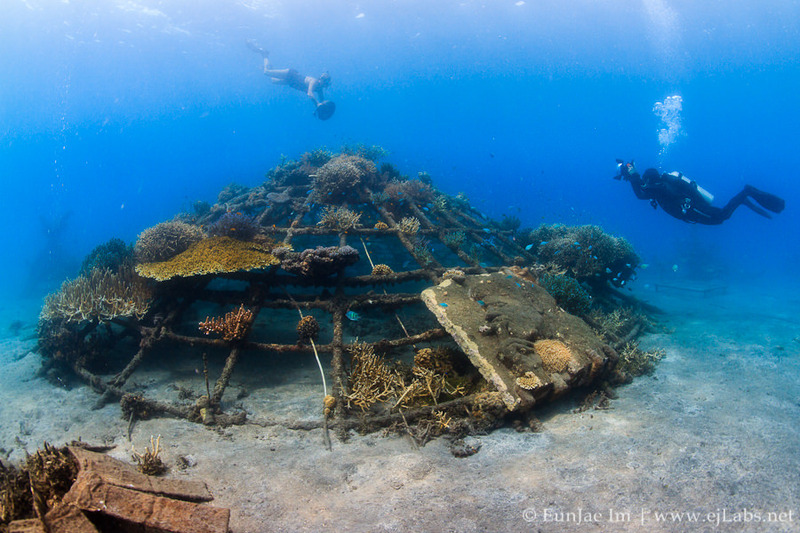 Later researchers began diving after most of the corals had died and most big fish were gone, so they never saw the reefs how they were. Since their first studies were on badly degraded reefs, they have seriously underestimated what we have lost. GCRA’s Coral Reef Image Archive includes the first high quality underwater color photographs, taken by the inventor of macro photography, Fritz Goreau, the first underwater photographs of the Great Barrier Reef and many other coral reefs around the world, clearly showing their ecological conditions and health in the 1950s and 1960s, along with photographs and videos taken at these sites since then. These are the only records of coral reef health from these periods, and they show a world that has so entirely vanished that those diving on the same sites today have no clue what has been lost. GCRA has around 600 boxes of slides taken by the pioneers of coral photography on reefs around the world, including underwater and aerial images. GCRA is painstakingly scanning each box, color correcting the images for fading due to age, and will post the images on the GCRA Coral Reef Image Archive as YouTube videos with voice over describing the important information they contain. GCRA also has extensive VHS footage and around 600 hours of digital video transects of coral reefs around the Caribbean, Pacific, Indian Ocean, and South East Asia in the 1990s and 2000s. GCRA plans to convert and post all of this on the web as permanent records of coral reef health. The site will be searchable by date, location, and photographer. This will form a unique archive for the public to see for the first time the reefs as they once were, and which have almost entirely disappeared. Unless global warming and pollution are promptly reversed, these photos will be the only historical record of a pristine ecosystem that is being driven into extinction for millions of years, which our descendants will never otherwise experience. GCRA Classic Studies in Coral Science will publish for the first time the original research work that founded modern coral science, which has never been scanned or available on the web and so is completely unknown to current coral reef researchers, who keep endlessly “discovering for the first time” fundamental aspects of coral reefs that were always well known to the original diving researchers, but have been lost by institutional amnesia. GCRA Classic Studies in Coral Science will include previously unpublished PhD theses, reports, and unpublished draft papers of fundamental pioneering importance to the field, but which are entirely unknown to today’s researchers. We will begin with the foundational study of coral reef ecology based on diving research and on coral anatomy, physiology, and biochemistry: Thomas F. Goreau, 1956, A study of the histochemistry and biology of corals. GCRA works in direct partnership with local groups worldwide, training them to design, implement, and maintain Biorock reefs to solve their major marine resource management problems and regenerate their shore protection, fisheries, biodiversity, tourism, and other ecosystem services for future generations by growing Coral Arks. 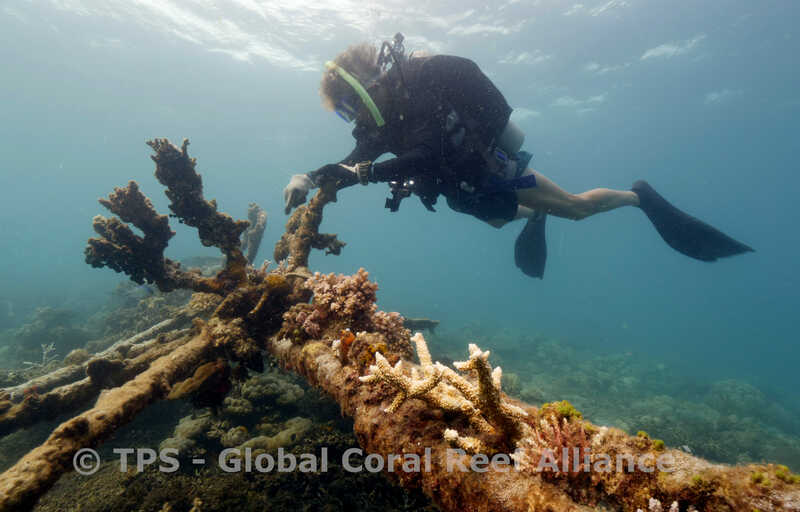 GCRA is a leader in protecting coral reefs in the UN Framework Convention on Climate Change, working with Island Nations to propose global climate change agreements that can save coral reefs, low islands and coasts from global warming and global sea level rise. GCRA has been a leader in analysis of changes in the global carbon cycle, identifying biological regeneration methods capable of reversing temperature and sea level rise in time, if governments had the wit to use them. GCRA work in these areas are presented in books, scientific papers, and reports, many posted on the GCRA Library section on this site.